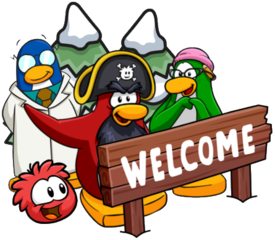 A new Better Igloos catalog has been released on Club Penguin Rewritten, filled with a variety of items including plants, posters and gnomes! As always, in this post, I will be sharing all the secrets/cheats inside the catalog! A circle and an arrow represents that a secret is hidden there and the image next to it is the item which you can get by clicking there. Page one contains three secrets: the Waterfall Pond, the Hedge Tree and also the Hanging Basket. Page two contains a further four secrets: the HD TV, the Ficus Plant, the Wheelbarrow and the Watering Can. Page three contains a further four secrets, which are the Blue Rug, the Blue Bench and the Astro Barrier & Thin Ice posters. 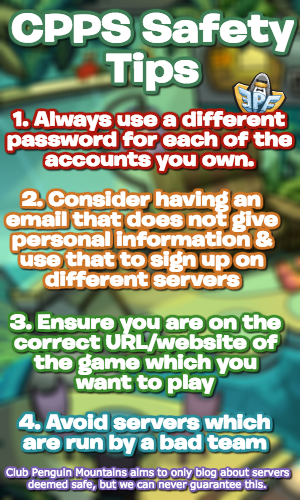 If you’re looking for the secrets to other parts of the catalog, you can click here to find them!